Its August 2012, our third month in New York, and we are already beginning to feel kind of settled. Both Amaira and I have made new friends. We excitedly look forward to each morning as there is so much to explore and learn as the day unfolds. These days we are outdoors on most weekends, trying to make the best of every remaining day of the summer. Whenever we head out, I prepare and pack food that we can enjoy as a family meal – a picnic lunch, of sorts. 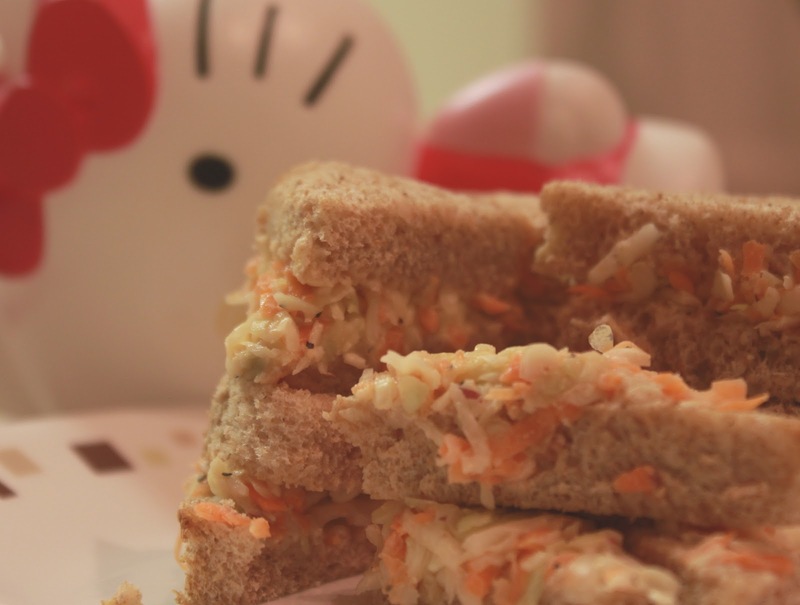 This coleslaw sandwich is one such quick-fix recipe, very handy whenever you’re headed out and need to pack something to eat on-the-go. This is a fairly ‘Indianised’ version of the quintessential English Coleslaw but quite easy to assemble and a favorite of the kids. Hope you enjoy eating this one! !